Italians have their vacation mostly in August. Schools start around the 15th of september so then it is over for sure. Everything closes. Perfect for Scandinavians like me that like the beach to myself, more or less. 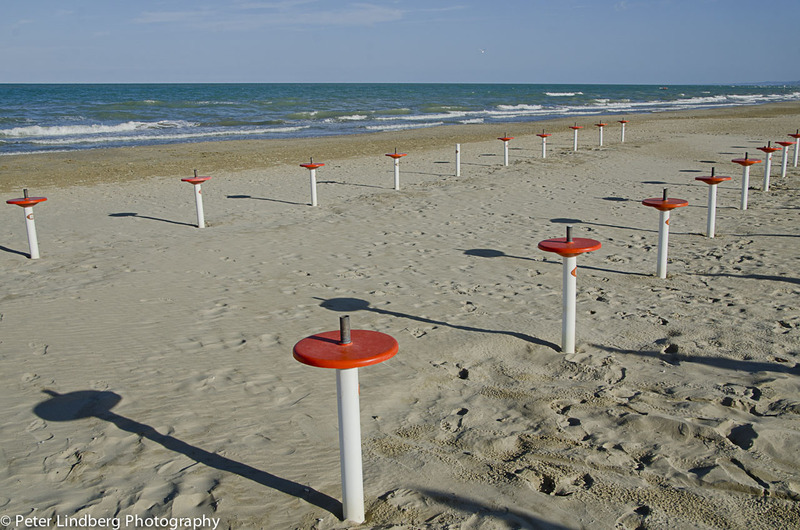 This shot was taken in Giulianova, about 40 km north of Pescara, in the Teramo region of Abruzzo. But the scene could be fetched pretty much anywhere along the Italian coastline. For Abruzzo it can be said that here we have almost no foreign vacationers all summer.That means better restaurants and people not being fed up with foreigners! This is a photograph from my new series of images from Italy. This project is just starting and everything should be considered “work in progress”. Stay tuned for more soon and later. 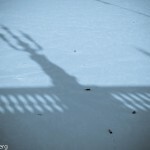 It is all about behind the facade, when the season is over and the sun-umbrrellas are tucked away….